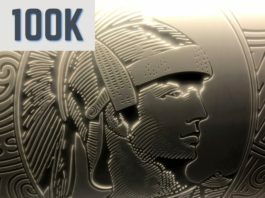 NBA Amex Bonus Issues & Misinformation: Is This Great Deal Worth the Trouble? 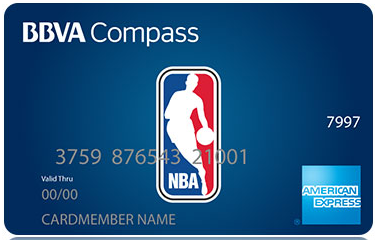 About a month ago I wrote about the increased 20K ($200) bonus on the no annual fee BBVA Compass NBA American Express card and followed up with a post about my application experience & strategy with the card. Since those posts, my wife applied and was approved for her very own card, so there are now two in the family! A $200 bonus on a no annual fee card is about as good as it gets. You get 5% cash back during NBA All Star Weekend and for the two weeks of NBA Finals. So we know BBVA Compass doesn’t quite have their act together, but I wasn’t worried about my bonus since I took a screenshot of the application and the insert that came with my card contained the correct bonus information. The only question that remained was whether the bonus would post correctly without me having to contact them. While my bonus posted correctly, a lot of people aren’t having the same experience. Doctor of Credit is reporting that a lot of Reddit users are only receiving the 10,000 point bonus and not the 20,000 points as promised. This is strange considering mine posted without issue. It does seem like BBVA Compass is all over the place. Fortunately BBVA is honoring the deal without any issues. If you only receive 10,000 bonus points then simply call or even better send a secure message. To send a secure message after logging in click the little envelope icon on the top. Believe it or not they have a fairly good secure message system despite the other issues. Even with the small hassle of having to follow up, this card is still worth getting in my opinion. BBVA Compass is perhaps a bank not quite ready for the prime time, but I still stand by the outstanding value that this card represents. I personally am looking forward to All Star Weekend not for the basketball, but for the earning opportunities. Until then I’ll load Amex Offers and use this card when it makes sense. Hopefully it will be smooth sailing from here, but somehow I doubt that is going to happen. Next articleVega$ Just Got More Expensive: Find Out What You’ll Be Paying For On Your Next Visit! Its going to be interesting to see how the handle the CL’s on the “NBA” dates. Thanks for shining a critical eye on this card and promotion. BBVA needs a bit more ‘construction criticism’ from bloggers as it seems they still haven’t responded well to customers, even after the debacle that was NBA finals promotion last year. I’m personally gonna load up on popcorn, pop and snacks, as this pending train-wreck will make another appearance in a month’s time. I just went to the TripleDoubleRewards site, and its Gosh Darned AWFUL to try to get a clear picture your purchases and rewards…. Just trying to get my Rewards history accurately was painful. BBVA needs to really needs to integrate their Rewards and Banking sites. Going to two separate sites, is a joke. BoA, while having some of the WORST rewards programs out there, IMHO has one of the BEST online banking experiences. I agree. Having two sites is less than ideal. They definitely aren’t quite ready for prime time, but the benefits (5% periods) make me want to deal with it.